Radio Dabanga targets programming to listeners in the Darfur area of Western Sudan. Occasionally broadcast may be jammed. The Cuban CW Group of amateur radio operators is promoting a project that will help both beginners and experts operate on CW Morse Code Radiotelegraphy mode using a simple low power transmitter... Two versions of the low power rigs are now in the early design stages, one using all solid state devices recycled from retired computer CRT monitors and TV sets, and the other a hybrid transmitter using low power transistors and a pair of also recycled vacuum tubes operating as the driver and final RF amplifier stages. But, Jav, CO3JK, charlie oscar three Juliet Kilo, the Secretary of the Cuban CW Group wrote an e'mail explaining that the first part of the project aims at building a rugged, reliable power supply for the transmitters. Si amigos this is Radio Havana Cuba... the name of the show is Dxers Unlimited and here is now more radio hobby related information... a few days ago I decided to dismantle an old hybrid amateur radio transceiver that had broken down many times , making each time more and more difficult to repair. It was not an easy decision, but when I started to take the rig apart, it proved to be the correct thing to do, when after testing the first ten electrolytic capacitors removed from the Kenwood TS820S using an equivalent series resistance meter, they all proved to be totally out of the minimum parameters... Attempting to revive that rig without a supply of high quality fully tested electrolytic capacitors for both the high voltage and low voltages power supplies would be simply an impossible task and it will also require a tremendous amount of time. Another finding that came out during the first steps of the dismantling process was related to the type of wrap around solderless connections used by Kenwood, that in my opinion was a very poor choice by the designers... The rest of the story is that so far I have carefully removed the VFO assembly, and the big power transformer that will soon be used for other home brew projects... Other small parts will need to be removed by first extracting printed circuit boards where valuable parts like the single side band filter and many quartz crystals can be recovered for recycling. Needless to say the Kenwood TS820 S had provided a useful service life of several decades that could had extended further more if a different method of assembly had been used... An before I forget the radio frequency driver stage and the two beam power tubes power amplifier were also neatly removed and could be used for a simple single band rig, making good use of a power supply built using the big transformer recovered from the transceiver. ASK ARNIE, la numero uno, the most popular section of Dxers Unlimited is now on the air... answering a question sent by listener Salvatore from Romen , Italy... Amigo Salvatoreo wants to hear my opinion about the possibility of building self excited power oscillators for CW that use the Hartley – Hull circuit... Well amigo Salvatore, all I can say is that it can be done, but it does require the use of some hard to find parts, like wide spaced air variable capacitors , that are essential to achieve the required frequency stability, and you will also need a very stable fully regulated supply to feed the power oscillator. Soon, Radio Havana Cuba will be changing to the A19 transmissions schedule... and very few changes are expected to take place... The reason for not having to change many frequencies has to do with the very low solar activity expected for this season that starts during the spring and comes to an end during October. 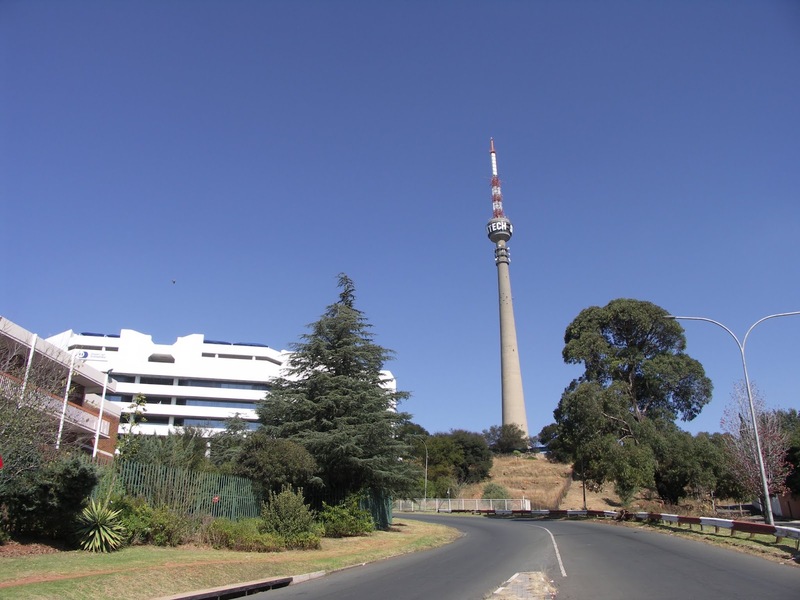 Jeff White of WRMI, has confirmed that the Sentec transmitting facility, in Meyerton, South Africa, will cease shortwave relays at the closure of the winter broadcast period, on 31 March 2019. 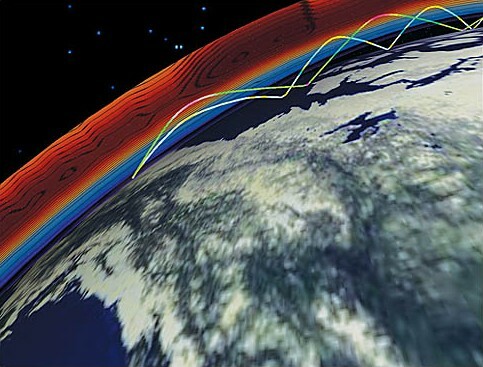 The information was announced during his February 24 broadcast, of AWR Wavescan. The future of the stations using the Meyerton facility is unknown at this time, though speculated that most will shift to the Madagascasr transmitter site. The following is a list of stations currently using the Meyerton facility. From April 1 Channel Africa might continue on internet only. 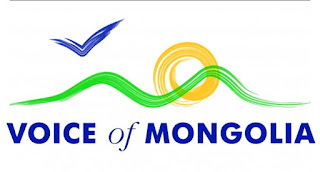 BBC relays will be moved from Meyerton to Malagasy Glabal Business S.A.in Talata-Volonondry. to be off the Sun-Earth line. The greater than 2 MeV electron flux at geosynchronous orbit reached moderate levels on 18-20 Feb. Normal levels were observed during the rest of the summary period. Geomagnetic field activity reached active levels on 21 Feb due to CH HSS influences. The remainder of the period was at mostly quiet levels. Solar activity is expected to remain very low for the forecast period. The greater than 2 MeV electron flux at geosynchronous orbit is expected to be at moderate to high levels on 25 Feb - 10 Mar, and 13 Mar due to recurrent CH HSS activity. Normal to moderate levels are expected for the remainder of the outlook period. Geomagnetic field activity is expected to be at G1 (Minor) storm levels on 27-28 Feb due to recurrent CH HSS activity. The remainder of the period is expected to be mostly quiet to unsettled. Information below about "This is a Music Show," on WRMI, which includes some MFSK. Also, some changes to the PANBEMS Net. WINB's DRM transmitter was not on the air last weekend: apologies if you tried to tune in. And WINB has a new frequency for its DRM transmitter: 13755 kHz. Shortwave Radiogram will be today (Friday) at 1500-1530 UTC on 13755. You can use KiwiSDR receivers in conjunction with the Dream software to decode DRM. See this post from the website for instructions. Last weekend we another example of an amazingly successful decode of Olivia 64-2000 text under adverse conditions. You can see/hear/decode that Olivia 64-2000 here. 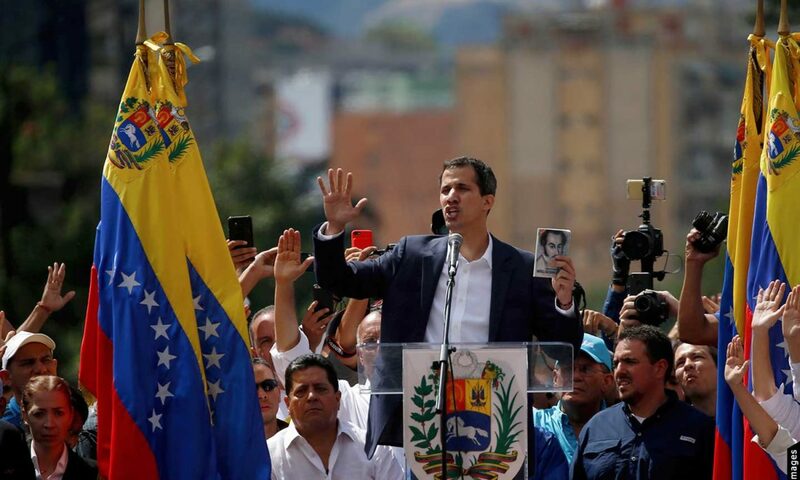 Videos of last weekend's Shortwave Radiogram (program 87) are provided by Scott in Ontario (Friday 2030 UTC), Ralf in Germany (Saturday 1400 UTC), Martín In Mexico (Sunday 0800 UTC 7730 kHz), and "youngalientype" (Sunday 2330 UTC, Olivia 64-2000 segment). The audio archive is maintained by Mark in the UK. Analysis is prepared by Roger in Germany. "This is a Music Show" is the newest addition to digital modes via analog shortwave. Most of the show is a music show, but the host transmits some MFSK text and image near the end of the broadcast. 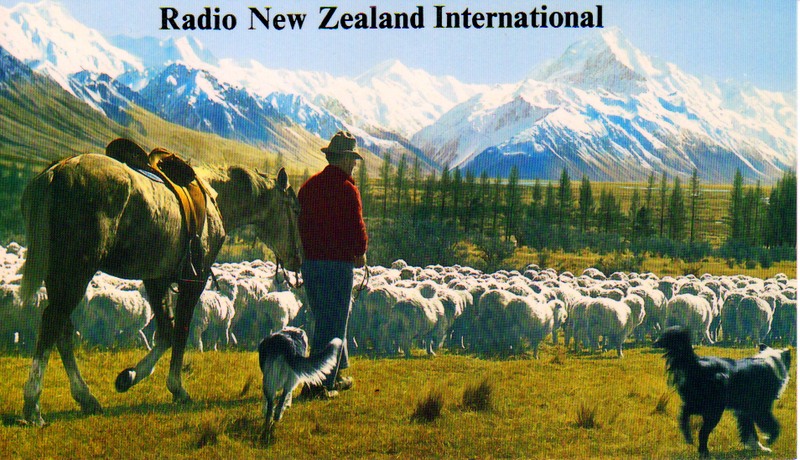 It's transmitted on WRMI, 5850 kHz, Thursday 0100-0200 UTC (Wednesday evening in the Americas). The first show this past Wednesday had MFSK64 text and an MFSK32 image. You might have to set the mode manually. Also look for a waterfall ID at the beginning of the show. New York and Pennsylvania NBEMS nets. Most weekends, as KD9XB, I check in to the New York NBEMS (Narrow Band Emergency Messaging Software) net Saturday at 1300 UTC on 3584 kHz USB, and the Pennsylvania NBEMS net Sunday at new 1230 UTC for out-of-state stations (1300Z for stations in Pennsylvania) on 3583 kHz USB. Check-ins are in Thor 22, and messages are in MFSK32, although PANBEMS is experimenting with Thor50x1 for traffic. Messages usually use the Flmsg add-on to Fldigi. If you are a radio amateur in eastern North America, feel free to check in. Outside the region, use an SDR in the eastern USA to tune in and decode. You do not need Flmsg to check in, and most of the messages can be read without Flmsg. If you can decode the net, send me an email to radiogram@verizon.net , or tweet to @SWRadiogram , and I will let them know you are tuned in. If it's February 21, time for the annual broadcast from Radio Öömrang, and if you missed last year, here’s a new opportunity. Once a year on February 21, citizens from one of Germany’s North Frisian Islands, celebrate Bikebrånen, a major North Frisian holiday. The first broadcast was founded by amateur radio operator Ajan Kölzow on the island of Amrum in 2006. Annual programs are aimed at the descendants of North Frisian immigrants to North America. Programs are presented in English and Standard German with talk and interviews in the North Frisian language of the Öömrang dialect. Programming may be live, or a recording from past editions to celebrate their special day. The winter 2019 broadcast for Radio Öömrang, is schedule for February 21, 2019, 1600-1700 UTC on 15215 kHz, relayed from the Issoudun, France transmitter. Solar activity was at very low levels. There were no numbered spot regions. No Earth-directed CMEs were observed in coronagraph imagery. No proton events were observed at geosynchronous orbit. The greater than 2 MeV electron flux at geosynchronous orbit reached high levels on 11 and 14 Feb, with a maximum flux of 1,890 pfu at 11/1445 UTC. Normal to moderate levels were observed on the remaining days. Geomagnetic field activity was at mostly quiet to unsettled levels. Active levels were observed on 13 Feb. Solar activity is expected to be very low levels throughout the forecast period. No notable regions are due to return to the visible disk. No proton events are expected at geosynchronous orbit. The greater than 2 MeV electron flux at geosynchronous orbit is expected to reach high levels on 21 Feb - 10 Mar and 13 Mar. Normal to moderate levels are expected for 18-20 Feb, 11-12 Mar, and 14-16 Mar. Geomagnetic field activity is expected to be at G1 (Minor) geomagnetic storming levels on 28 Feb - 01 Mar as the result of recurrent, negative polarity CH HSS influences. Mostly quiet to unsettled levels are expected for the rest of the outlook period. QSL listings are from various post, from the February 2019 issue of NASWA, Listener's Notebook. Now that the bill has been signed on February 15, 2019 by President Trump, WWV is fully funded. The International Space Station is transmitting SSTV again this weekend, until Sunday at 1725 UTC, on the usual 145.8 MHz (FM). From your reports, I learned that last weekend's Shortwave Radiogram segment of Olivia 64-2000 succeeded when the MFSK32 and 64 showed errors due to poor reception conditions.You can see, and decode for yourself, this example of Olivia 64-2000 decoding 99% in very poor reception, with MFSK32 and 64 mostly unintelligible. For most listeners, reception was good enough that the Olivia 64-2000 was not necessary. Videos of last weekend's Shortwave Radiogram (program 86) are provided by Scott in Germany (Friday 2030 UTC), Ralf in Germany (Saturday 1400 UTC) and DFS2010 in Japan (Sunday 0800 UTC 7730 kHz). Marco in Italy provided an example of the MFSK128 decoding from the WINB DRM transmission (video only, the music was not part of the broadcast). The audio archive is maintained by Mark in the UK. Analysis is prepared by Roger in Germany. This weekend, hoping for some instances of bad reception, we will transmit another segment of Olivia 64-2000 (with another reminder about the Winter SWL Fest, 28 Feb-2 Mar). There will also be another broadcast via the WINB DRM transmitter, today (Friday) at 1500 UTC, 13690 kHz, likely with the content of last weekend's show. After the end of the Pacific War, shortwave station CR8AA Radio Club Macau returned to the air and it was first noted in Australia on 7530 kHz with what was described as a good signal in August 1945. Their first QSL card was a large oversized card with an artistic representation of a beach scene along the Macau coastline. Two years later (1947), Radio News in the United States reported that the station was on the air daily with regular programming on 9500 kHz with a power output of just 200 watts. 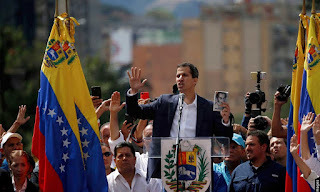 The programming content was in three languages; Portuguese, Chinese and English. At this stage, it was stated, Radio Macau was planning a power increase up to 1 kW. Two years later again (1949), Radio Macau was off the air shortwave, though a new mediumwave channel was in use, 1270 kHz with again an output power of only 200 watts. Apparently the shortwave transmitter had been re-engineered for use on a mediumwave channel. At this stage, they were promising a power increase on shortwave up to 5 kW. After another two years, now 1951, a monitoring observation in the United States indicated that a 1 kW transmitter was on the air from Macau on 9500 kHz though it was not carrying the programming of Radio Macau but rather Radio Vila Verde. This shortwave relay was heard during the months of April and May only, and the news report stated that this shortwave relay was simply a temporary fill in while they were awaiting a new mediumwave transmitter. This shortwave transmitter actually belonged to Radio Macau, not Radio Vila Verde, and apparently its normal usage was for international communication. Would you believe it? Again, after another two years, this time during the year 1953, it was stated that no shortwave transmitter in Macau was active with the broadcast of radio programming, and that Radio Club Macau may some time soon take into usage its 1 kW communication transmitter for the relay of their own mediumwave programming. However, that never eventuated either. At that stage, a 250 watt mediumwave transmitter was in use on 900 kHz. Back then, the call signs in use by Radio Club Macau were rather unusual; the shortwave call sign was CR8AA and the medium wave callsign was CR9AA. 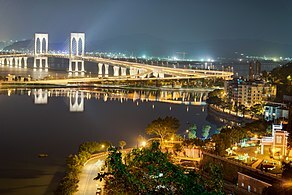 The international radio prefix CR8 belonged officially to Goa the Portuguese colony in India; and the international radio prefix CR9 belonged officially to Macau, the Portuguese colony in China. In the 1960s, the 250 watt mediumwave transmitter was retuned to 1200 kHz, and a new 1 kW mediumwave transmitter took over the 900 kHz channel. Both channels carried the same programming in parallel in both Cantonese and English. In 1976, the Radio Macau broadcasting service was reorganized under the auspices of the Information and Tourism Center with programming in just two languages, Chinese and Portuguese. Interestingly in 1983, two European countries, France and Portugal, announced that they planned to install a jointly operated shortwave broadcast station in Macau, though that project was never implemented either. The usage of medium wave in Macau was dropped in favor of FM during the 1990s. With the 1999 re-integration of the Portuguese colony Macau into China looming up on the horizon, Radio Macau again announced that they would re-introduce a shortwave service that would continue on air after the high profile political changeover took place. However, due to the growth of FM radio broadcasting throughout the world as well as in Macau, the usage of both medium wave and shortwave was dropped entirely. Thus, over nearly half a century, Radio Macau indicated its intention to increase the power of its international shortwave service on five separate occasions, all without fulfillment. These days, Radio TV Macau is on the air via two FM transmitters, each rated at 2½ kW, and they are both on the air 24 hours daily. 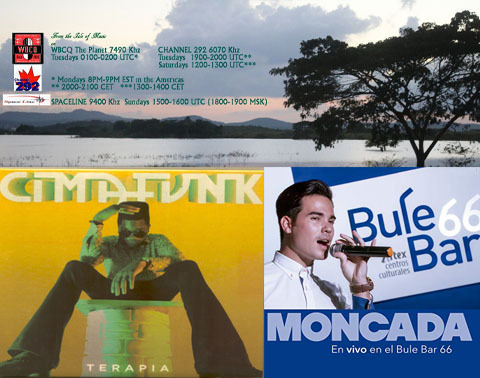 The FM channel 100.7 MHz carries Cantonese and Mandarin programming, and the other FM channel 98.0 MHz carries Portuguese programming with occasional inserts in Indonesian and Tagalog. Coming soon here in Wavescan will be the story of the other radio station in Macau, Radio Vila Verde. What is the Future for VOA on the Island of Tinian? In our program today, we pick up Part 2 in the radio scene on the Pacific island of Tinian. Last week, we presented the story of island backgrounds, and we mentioned just a little regarding radio stations on Tinian Island. This time, we finalize the radio story on Tinian, with the following information regarding the shortwave radio stations on this island. 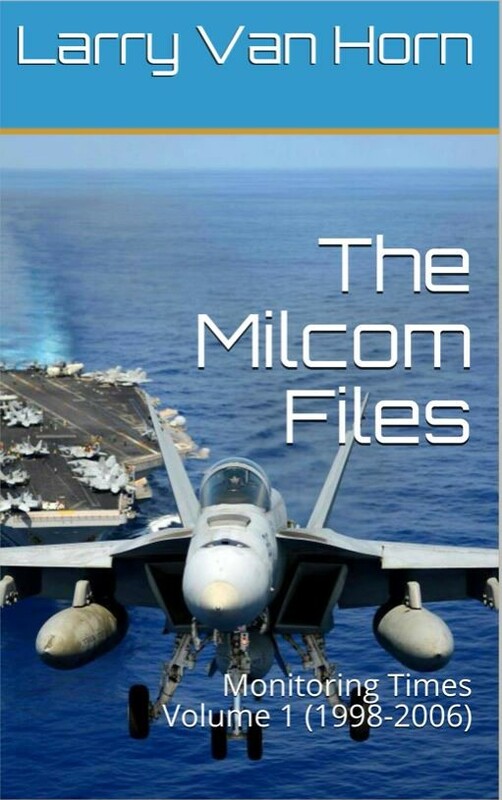 There is no evidence that an early wireless communication station or a mediumwave broadcasting station was ever installed on the island; no, not under the German administration and not under the Japanese administration, nor under the American. However in 1944, Japanese forces rapidly strengthened their military presence on the island, and it is obvious that they would have used shortwave radio for distant communication. American forces took over the island on August 1, 1944 and they then constructed the world’s largest air force base with the presence of 40,000 Americans. 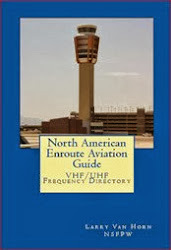 It is obvious again, that the Americans would be using shortwave equipment for communication with airplanes, shipping, and distant headquarters. At this stage, the Americans designed the layout of the island similar to the layout of Manhattan Island in New York, even giving the same names to streets and localities as on Manhattan. These days, the previous airways locality on Tinian is abandoned and inhabited by feral cats and rats. However during the year 1996, the Voice of America in Washington DC announced that plans were already underway for the construction of a huge shortwave relay station on the island of Tinian. 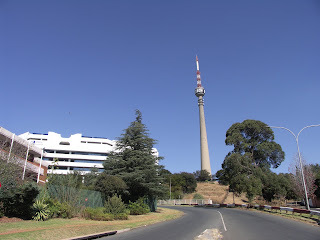 It was envisaged that this station, on a land estate of 800 acres, would contain six shortwave transmitters at 500 kW each, together with an antenna system comprising seven pairs of curtain antennas. 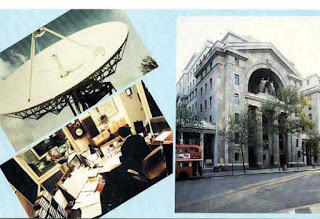 Ground work on the new station began in 1996; an experienced company in Kuwait was awarded the contract for the installation of the electronic equipment; the six transmitters would come from a closed shortwave station in Portugal; and the antennas would be installed by Continental-Telefunken. 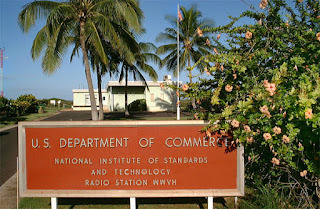 Programming for the Tinian station would be provided by satellite from the studios of the Voice of America and Radio Free Asia in Washington DC. 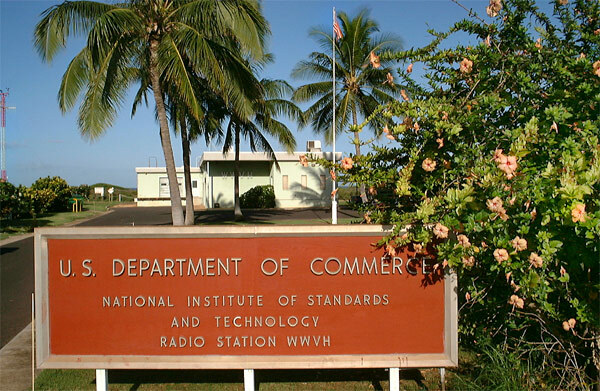 The first test broadcasts from VOA Tinian began a little more than two years later on January 5, 1999, when two transmitters were activated at night in order to test for the possibility of arcing problems in the antenna systems. These two transmitters began regular programming ten days later, on January 15 (1999); by which stage, a third transmitter had already been installed and it too was ready to be activated. When the Tinian shortwave station was completed, it contained not six transmitters but eight. There were two Continentals at 250 kW each from the United States, Model 419F2; and six transmitters at 500 kW each from ABB in Switzerland, Model SK552C3P. These six units had previously been on the air for Radio Liberty and Radio Free Europe in the shortwave relay station at Maxoqueira in Portugal. The Tinian station was located at the northwestern coast of the island, and the antenna systems were arranged in an arc facing the ocean, and Asia. A total of eleven curtain antennas were erected, including five pairs of active curtains with passive reflectors. 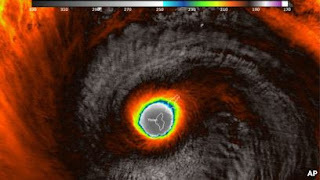 As a result of the massive destruction wrought by Super Typhoon Yutu, programming from the Voice of America and Radio Free Asia has been farmed out to other available stations that provide shortwave coverage into Asia. In the December 19 (2018) issue of the America journal, Radio World, writer James Careless provides an update to the Tinian radio scene. So strong were the winds that the concrete counter-weights on the curtain antennas were literally shaken to pieces. Feed lines and power lines were knocked down, and the curtain antennas became a mangled mess. Satellite dishes were either fragmented, or blown away. Fortunately, the transmitters themselves were not damaged, though there has been some water seepage. In a comment by the well known Dr. Kim Andrew Elliott, he states that it would be wise for the United States to retain the usage of at least one of the two damaged shortwave stations (Tinian or Saipan) for Asian coverage. However, he added, the cost of rebuilding the stations might mean an opportunity for their permanent closure. 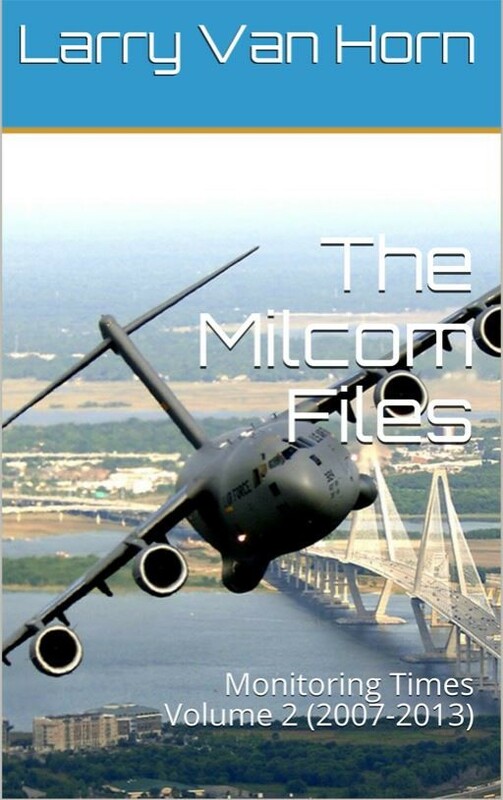 Dr. Elliott is well known for his service in audience research with the Voice of America, his production of the former VOA DX program Shortwave Radiogram, and as an experienced international radio monitor. So what will happen to the shortwave station on the Island of Tinian? Will it be restored to active service or is it now gone forever? Only time will tell. After a week or two, we plan to begin the very interesting story of the other shortwave station that was destroyed by Super Typhoon Yutu, the VOA relay station on the island of Saipan. Two shortwave radio transmission/antenna farms used by the U.S. Agency for Global Media in Saipan and Tinian were ripped apart by 180 mph winds in October. That’s when Category 5 Super Typhoon Yutu ravaged the Northern Mariana island group in the northwestern Pacific Ocean.